Defensiveness. Blame. Not a lot of empathy going on. Welcome to a lot of relationships. In the first scenario, the woman is not taking any responsibility for perhaps asking her husband to pick up little Jackson while he was watching the sports report on the 10:00 news. Never a good idea with the male gender. She did not have his attention. Nor is she admitting her embarrassment that her kid appears abandoned. The husband, who is avoiding the whole topic, is perceiving that his wife is SCREAMING, which she is likely not. Does not consider that maybe he didn’t hear his wife’s request. Quickly moves to problem-solving. 2nd scenario. I call this a “mine field” argument. Some topics, usually because of history, need to be discussed carefully. They are mine fields of potential problems. In this relationship, the issue of trust is tricky. He was hurt by his first wife. He might be reading things too sensitively. She can’t fix his hurt, but doesn’t have to take it quite so personally if the issue comes up. The “you’ve got a problem” comment? She is throwing a verbal grenade. Because she feels attacked. If they both had a couple of cocktails at the party, this argument could get out of hand. 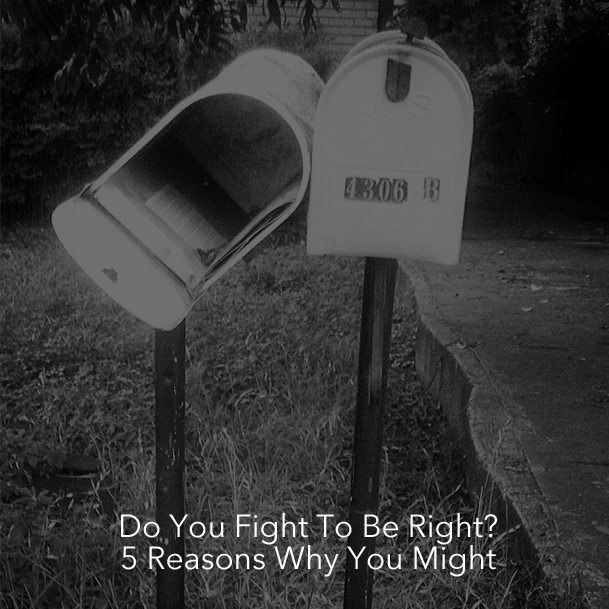 These are, “I’m right and you’re not” fights. A few things do have “right” answers. “Where did we go on our honeymoon?” Or, “What did your mother serve for Thanksgiving last year?” Questions with factual answers. Somebody can go find a picture. All can see that it was DisneyWorld and a fried turkey with cornbread stuffing. Most things folks argue about, sometimes viciously, don’t have such an easy answer. An example would be a fight about whether Jackson should keep on playing football. However, his grades are suffering. There could be two very different viewpoints on that topic. Two ways of handling things. Both reflecting good points. Neither likely a perfect solution. So why do we argue? Why not recognize that the other person has a decent or important point of view? Here are 5 possible answers. 1) Criticism has become the primary way the two of you communicate. This can be true when both folks are fairly controlling. It just creeps in. Rarely do you compliment your partner on their choices or let them know their opinion is vital. It becomes a bad habit. 2) You are basically insecure. A lot of insecurity exists in someone who forces their opinion, bullies or tries to control things in a household. You don’t have to try to control others if you have a quiet, solid sense of your own competence. You can legitimately discuss various perspectives. Because you do not need to feel superior. 3) You believe “backing down” or “not being in charge” is weak. 4) You are carrying around hurt, resentment or anger. This makes any situation or topic fair game for an argument. You aren’t mad about what you appear to be, but are looking for a way to vent your anger. 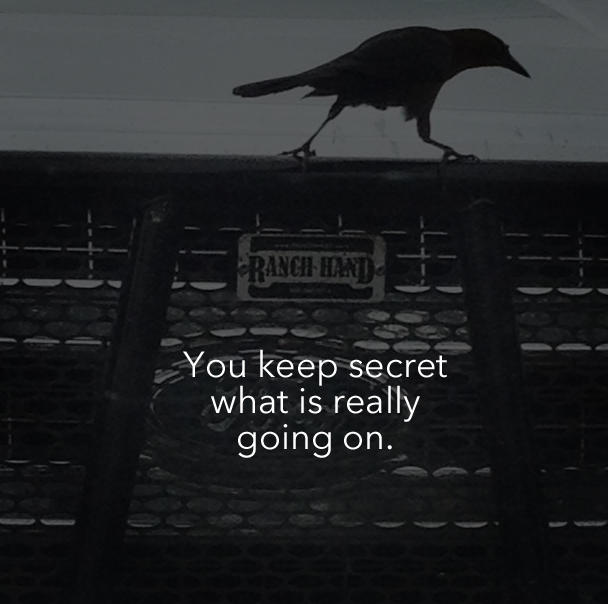 You keep secret what is really going on. 5) Winning is more important than valuing the worth of your partner. You may win. Even a lot. But it’s not good for your relationship. The temporary “high” of getting the upper hand disappears when you have to live with someone who doesn’t feel respected. That usually stops the verbiage for a moment. At least they take a breath. The good news? These issues can be figured out. Resolved in some way. New habits can be formed. Real listening. Not just waiting for the other one to hush so you can say what’s on your mind. It takes both people taking responsibility for their behavior that is harming the relationship. Feeling wrong all the time leads to resentment. Eventual withdrawal. Being right? If all the time, you are likely to be one lonely person. Please share if you think this might help folks you know! I appreciate so many new SUBSCRIPTIONS coming in! Please do SUBSCRIBE in the gray box above – you will receive posts in your email once a week! Email me and let me know what you think – askdrmargaret@146.66.99.73. I will answer! Photos courtesy of Deborah Strauss.